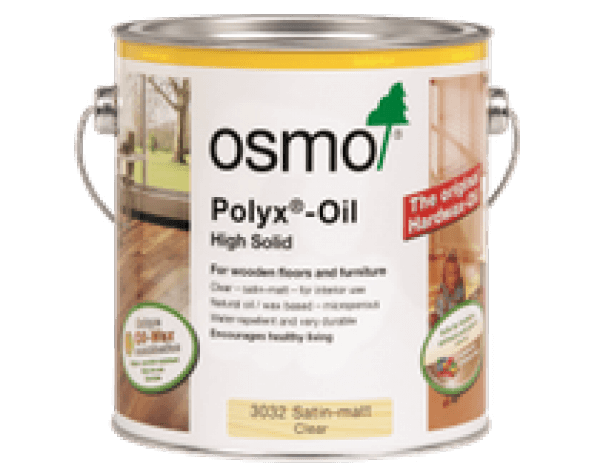 Osmo Polyx®-Oils are developed from natural oils and waxes to provide the most hardwearing and durable protection for wooden flooring, furniture and doors. Suitable for wood; microporous surface dose not crack,flake, peel or blister. Resistant to wine, beer, cola, coffee and tea. Covers approx 24m2 per 1ltr, require 2 coats. Drying Time Approx 8-10 hours. Osmo Polyx®-Oils are developed from natural oils and waxes to provide the most hardwearing and durable protection for wooden flooring, furniture and doors.The wood's true beauty is accomplished by using Osmo Polyx®-Oil. The emphasis on the wood's grain and natural characteristics provides a warm and rich effect to ensure that any interior looks luxurious and elegant. Each wood has its own style and unique charm, and is seductive from the first sight. Suitable for wood; microporous surface dose not crack,flake, peel or blister. Resistant to wine, beer, cola, coffee and tea. Covers approx 24m2 per 1ltr, require 2 coats. Drying Time Approx 8-10 hours.